Kalemegdan and Trg Republike will appeal to history buffs. Visiting Ada Ciganlija and Danube River will get you outdoors. Get out of town with these interesting Belgrade side-trips: Strand (in Novi Sad), Sremski Karlovci (in Sremski Karlovci) and Risovaca Cave (in Arandjelovac). 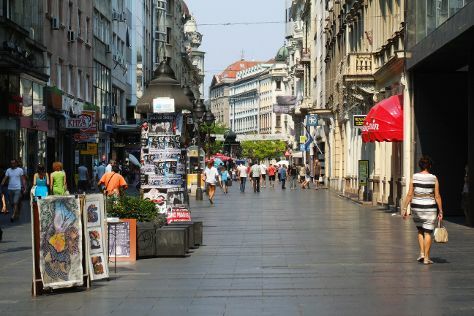 There's still lots to do: wander the streets of Knez Mihailova, test your problem-solving skills at popular escape rooms, steep yourself in history at Oplenac, and contemplate the waterfront views at Sava. To find other places to visit, where to stay, ratings, and other tourist information, read Belgrade tour itinerary builder website . If you are flying in from Bahrain, the closest major airport is Belgrade Nikola Tesla Airport. In December, daily temperatures in Belgrade can reach 7°C, while at night they dip to -1°C. Cap off your sightseeing on the 21st (Fri) early enough to travel back home.